Last week I posted about the quickest route to visit all 47 U.S. National Parks. If you’d like to optimize your own routes, there’s a website called RouteXL that will help you do it. If your route has 20 stops or less, it’s free. 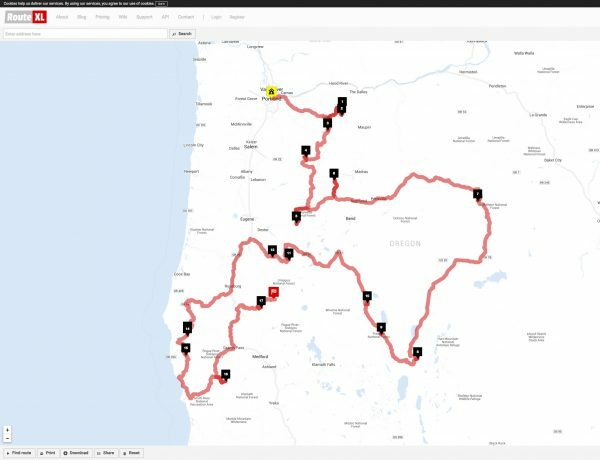 For example, if you wanted to leave Portland, Oregon, and spend a night in all of the states old fire lookouts, this would be the quickest route. Click map above (click it for a live version). To create your own route, add locations in the field at the top-left of the page and then click the Find Route button at the bottom-left corner of the page. You can then use the Download button at the bottom-left of the page to share the route, download it in any number of formats, or open it in Google Maps. If you’d like to camp in an old fire lookout, here’s a link to all of the available sites in the western United States. August of 2016 marks 100 years since the founding of the National Park Service. 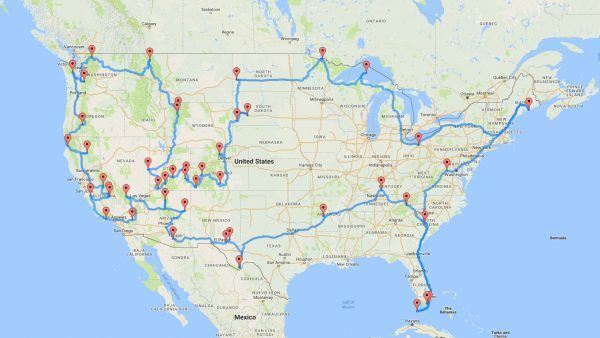 To celebrate, a data scientist, Dr. Randal S. Olson, created an optimized route map showing the fastest way to visit all 47 national parks. Click the map image for a live Google Map. In Rwanda, known as the “Land of a Thousand Hills,” trips to rural villages can take four hours by truck (in the dry season). In that terrain, delivering lifesaving medical supplies was often an impossibility. Now though, a Bay Area company named Zipline, working in conjunction with the Rwandan government, has introduced a fleet drones that make the trip in about 15 minutes. The drones fly about 60 mph, circle their target, and deliver their cargo by parachute (with an accuracy of a few parking spaces). Well done! A nice little video showing just how far you can take a standard Suzuki Samurai. This one lives in Panama. 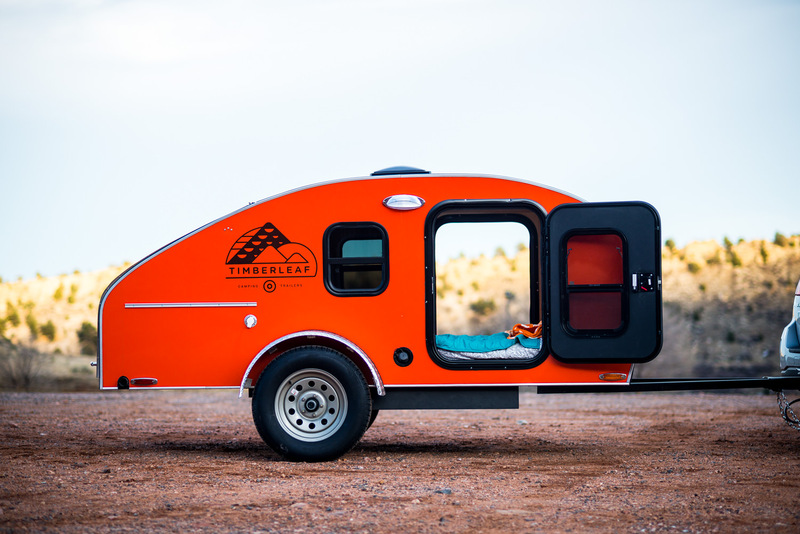 Colorado-based Timberleaf Trailers has come up with a beautiful, lightweight, modern version of the classic teardrop trailer. Teardrop trailers first became popular in the 1930s, a time when hundreds of new federal and state parks were being built the Civil Conservation Corps. Magazines like Mechanix Illustrated, perhaps eager to offer their readers a DIY way to take advantage of this new, national infrastructure, published plans for the home builder. The classic layout offered sleeping quarters forward and an open-air kitchen to the rear, under a large rear hatch. The Timberleaf Trailer utilizes this same classic layout but weighs in at a very modern, and eminently towable, 1,200 lbs. Ground clearance looks to be about 7 inches. The birch plywood construction appears to be first-rate, and the trailer offers standard niceties such as a polycarbonate skylight, R-11 insulation, 110V and 12V power via a 125aH deep cycle marine battery, USB outlets, and 12 gallons of fresh water storage. A built-in cooler and cookstove are optional extras. Trailers, unlike rooftop tents, offer a way get some of the camping load out of the truck. They also offer a way to leave the camp set-up at camp. No need to fold up the rooftop tent for a quick day trip. Prices start at just a hair over $15,000. It looks like a very nice way to see the country. More pics after the jump. Hat tip to Silodrome, where I first saw the Timberleaf. Andrew St Pierre White, the South African dean of overlanding, stalked around the German overlanding expo, Abenteuer Allrad, this year asking, “What tires are overlanders using?” His aim was to get a sense of which tires the overlanding community is adopting. He also weighs in with his own experience with various brands. He didn’t have confidence in my previous tire, the Yokohama Geolandar A/T-S, though I liked them. He had good things to say about the tire I’m currently running though, the Cooper Discoverer S/T. I’m happy with that one too. It’s a tough tire with plenty of grip. See which tires he pans and which ones he gives a nod of approval. There’s an interesting discussion about people’s navigation and communication preferences taking place on Reddit’s r/overlanding subreddit: CB vs HAM, HAM vs GMRS, what kind of mapping solutions like, that kind of thing. Have a look and weigh in, if you like. My own two cents is that HAM and GMRS are actually compatible. You can tune them to the same frequency. Just look in your GMRS manual to find what frequency the channels correspond to and you’ll be able to do it. Also make sure that the privacy filter on the GMRS (sometimes called “Interference Eliminator Code”) is set to 0. 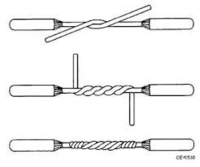 Here’s quick and strong way to splice two wires, the linesman splice. Brought to you by Canadian workshop guru and avid YouTuber, AvE.
And an image for quick reference. Another beautiful film from Petrolicious detailing one owner’s decades-long relationship with his Toyota FJ40.